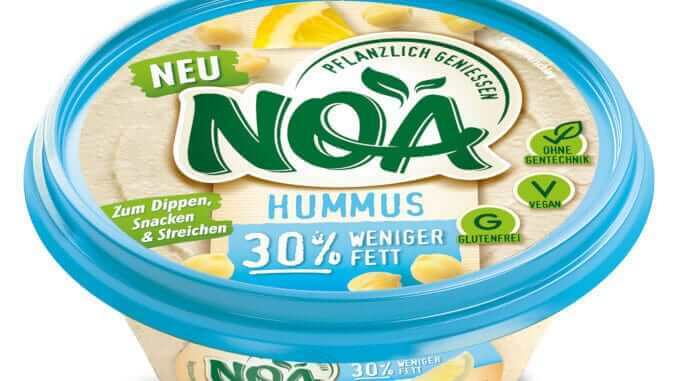 The delicious NOA taste and rich, creamy enjoyment with fewer calories – this is now possible thanks to NOA Hummus Natur, which contains 30% less fat than ordinary hummus. The irresistible combination of chickpeas, sesame and finely tuned spices uses considerably less fat than traditional hummus – and has a rich taste too! This makes it the perfect addition to the NOA range, whether as a dip, on bread or as an ingredient in delicious, creative dishes. Like all products in the NOA family, the new product is GMO-free, gluten-free and does not contain preservatives or artificial flavours. More information about the new product can be found at www.noa-pflanzlich.de.